David Ruggles was a free-born African-American, who grew up in Norwich, and later migrated to New York City, becoming a leader in the abolitionist movement. He created the first library and bookstore for blacks in the United States, and was an outspoken critic of the Fugitive Slave Act, and other oppressive practices against African-Americans. 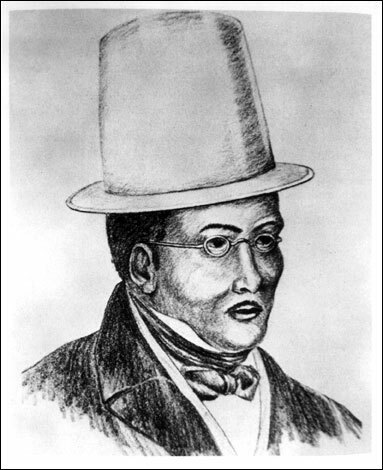 He ran a grocery store and created a newspaper for the abolition of slavery, and was a leader in the Underground Railroad. Besides the aforementioned James Lindsey Smith (see Site #9 above), one of the most distinguished among the many hundreds Mr. Ruggles helped escape to freedom was Frederick Douglass.